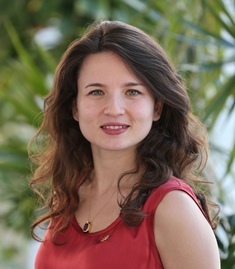 Hande Dönmez has been working at WRI Turkey Sustainable Cities since 2013. She is responsible for developing strategic communications plans, public relations, media relations, event marketing and management, and social media and web content management. Before WRI Turkey Sustainable Cities, Hande worked at a Civil Construction Company as an interpreter and administrative assistant. During her academic and professional career, she has also volunteered at an NGO both as a coordinator and as an organizational team member. Hande holds a B.S. in Translation and Interpretation Studies from Hacettepe University and an MBA Degree from Galatasaray University. She is fluent in English, Spanish and French. She is a scuba diver, horseback rider, and accomplished flute player.